In 2007 NVIDIA launched its compute unified device architecture (CUDA), a programmable parallel computing platform implemented in GPUs. CUDA programming provides the fastest and most versatile way to access the power of NVIDIA GPUs, with core supported languages C, C++, and Fortran. Third-party wrappers are available for Python, Java, Ruby, Lua, Haskell, R, Matlab, Mathematica, and others. In 2008 there were 150,000 downloads, 27 CUDA applications, 4,000 academic papers citing CUDA GPUs, 6,000 Tesla GPUs, and 77 supercomputing TeraFLOPS. 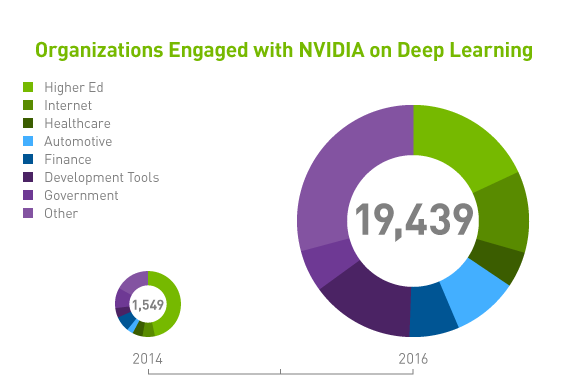 In March 2015 there were 3 million CUDA downloads, 319 CUDA applications, 60,000 academic papers citing the platform, 450,000 Tesla GPUs in the market, and 54,000 supercomputing TeraFLOPS. 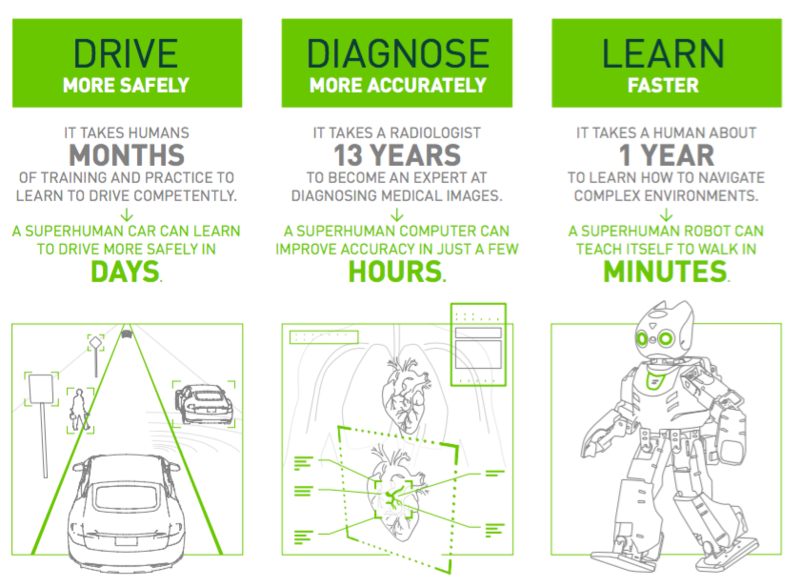 Nvidia announced its latest and fastest GPU at the GPU Technology Conference 2015. 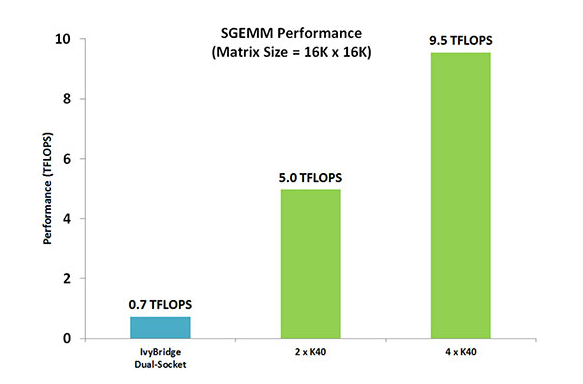 Titan X contains 3,072 CUDA cores, 8 billion transistors, 12 GB memory, and can achieve 7 TeraFLOPS in single precision. Its cost is $1,000. 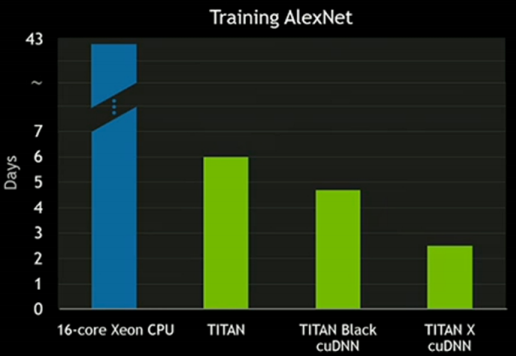 When combined with the new CUDA deep learning library (cuDNN), which provides primitives for connecting deep learning frameworks with CUDA, AlexNet, an example of a deep learning system, reduced its training time from a month to 2.5 days. This is a huge degree of acceleration. Management of training of many DNNs in parallel on multi-GPU systems. Import of a wide variety of image formats and sources. Monitoring of network training in real time. Open source so DIGITS can be customized and extended as needed.